When I woke up Saturday morning I didn’t see my shadow, a good sign on Groundhog’s Day. Even better was the fact that I was on my way to Union Square Park to see the Scott’s Oriole again and this time, because I had taken the train from Albany and not stepped foot in a car since my arrival, I could count it! So despite the fact that my cell phone was broken, I was a year older (Groundhog Day being my birthday as well as World Wetlands Day), and I still hadn’t found an apartment to live in when I move to the city March 1st, I was feeling good. But then the Scott’s Oriole didn’t show. When I arrived at Union Square Park shortly before nine a bunch of birders were there. None of them had seen the bird. A European Starling was a poor substitute. Oh well, my first countable White-throated Sparrows of the year were around again and a walk around the park led me to a birder who pointed out a juvenile Red-tailed Hawk that escaped my notice. Then the red-tail changed perches and sat on a branch about 20 feet up and maybe 30 away. It looked like the hawk was going to make a move at the seemingly oblivious squirrels or pigeons that fed almost directly beneath it so I held my camera steady on the hawk. And held my camera steady on the hawk. And held my camera steady on the hawk. All the while another birder, a passerby who had stopped to see what we were looking at, and I kept up a steady conversation about the hawk we were seeing and the older woman who also seemed oblivious to the hawk’s presence that was feeding peanuts to the squirrels beneath the hawk . All of us hoped the hawk would go after one of the squirrels, just to see what would happen. I got sick of holding my camera up and took a second to look through my bins at the birders at the Scott’s Oriole‘s normal spot to see if it looked like they were looking at the oriole. They weren’t. When I turned my attention back to the hawk it had just left its perch and was homing in on a pigeon not eight feet from us. It missed. And so did I, as my camera was back over my shoulder. It would have been a gorgeous shot of the hawk coming in with talons extended and a pigeon desperately getting out of the way. After that and after realizing that it was already after ten (and remembering that I had already seen the Scott’s Oriole and I wasn’t likely to see anything cooler than the hawk), I decided to head up to Central Park and see what might be around up there. The 6 train left me on Lexington Avenue and after the short walk to the park another Red-tailed Hawk flew past directly in front of me so close that I could practically taste it. Nothing but Mallards were in the southernmost body of water in the park but when I got up to the boat lake Hooded Mergansers, Northern Shovelers, and Canada Geese were all present and the coughing call of the Red-bellied Woodpecker led my eyes to it. A stroll into the ramble led me to a whole bunch of White-throated Sparrows, a couple American Goldfinches and several Tufted Titmice. Then the bird activity really started to pick up with the nasally honk of White-breasted Nuthatches, the call notes of Down Woodpeckers, and the chick-a-dee-dee-dee of Black-capped Chickadees filling my ears. Then a Common Redpoll flew past! Well, I was pretty sure it was a redpoll but I was already discounting it in my head when I came upon a birder sitting on a bench looking at an array of feeders that explained the increase of bird activity. When I asked if any good birds had been around the birder on the bench said I had just missed a Common Redpoll. I had been right! I introduced myself and we sat and watched pretty much all of the aforementioned birds plus a Carolina Wren, Blue Jays, Mourning Doves, Northern Cardinals and House Sparrows gorging themselves on the feeders’ bounty. Somehow I can’t remember the name of the birder I met but he was kind enough, after I explained that I was moving to the city in a month and was still trying to find my way around Central Park, to agree to give me a bit of a tour that would end at the Conservancy Gardens where a Yellow-breasted Chat had been reported with regularity over the last several weeks. En route we stopped at the reservoir where Ruddy Ducks, Northern Shovelers, the three common gulls, Canada Geese, Bufflehead, and Mallards were scattered over the surface. Three Red-tailed Hawks were soaring overhead, two looking like a pair, and one of the pair looking exceptionally pale, making us think that it was the most famous hawk in the history of the world, Pale Male. The birder who was showing me around not only knew the birds of the park but some of the history of the park and the surrounding cityscape as well. I really wish I could remember his name so I could give him credit, but oh well, now I know that there is at least one Central Park birder who is very friendly and helpful and willing to show an upstater around the park. The Conservancy Garden held a couple of other birders looking for the chat but no chat while I was there. 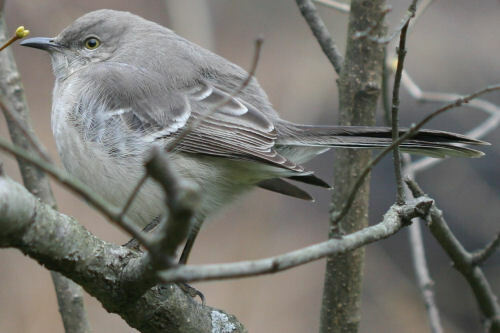 I did see a Northern Mockingbird up close though. After lots of confusion on my part on the subway system (compounded by service changes) I got back to Daisy’s and found out no landlords had contacted us to look at apartments so, using the power of my birthday, I convinced Daisy to accompany me back to Union Square Park where my email had told me the Scott’s Oriole had put in an appearance about a half-hour after I had left. Sure enough it was in its usual spot but only two birders were enjoying his presence. No worries, there are lots of us friendly Central Park birders (and, admittedly, some less friendly)! Drop me a note when you plan to return to the city and I’ll be happy to give you a tour of parts of the park you might not have had time to see during this visit. What a cool bird and I sure wish I didn’t live 10 hours away! Just maybe I would have joined you! All other great birds you had! mon@rch, you’ve got to get down here. Take the train… we’ll give you the deluxe birding tour. I guess there’s something to be said about urban birding. I’m wondering if you will see any peregrine falcons in the next couple of months there in or near Central Park. I’m glad to hear there are red-tailed hawks there in the city. That certainly will help keep the rock pigeon numbers down. Mmm. 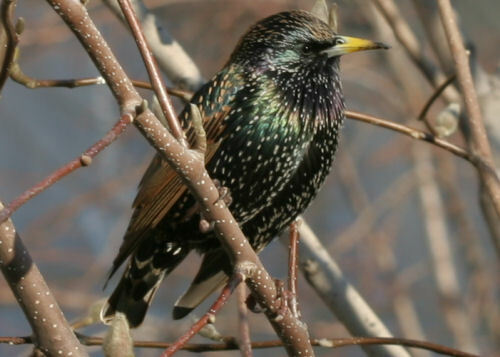 I wonder, do they like starlings, too? Good luck, Corey, in finding an apartment; I hope it won’t take too long to find one. 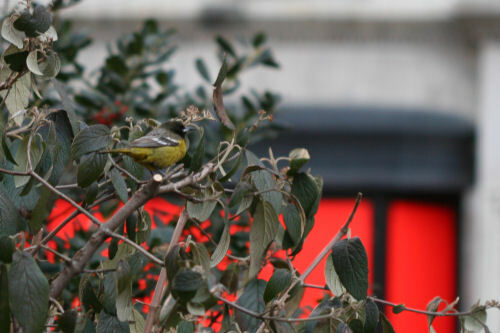 @Beth: I’m sure there are lots of nice birders that bird Central Park…it’s just that I tend not to meet them, I guess. And thanks for the offer! @Monarch: I think Mike gave as good a reply as I could. @Mary: I should be able to track Peregrines down as they nest on several NYC bridges. And thanks for the kind wishes. @Carrie: Seriously! I’ve still never seen one in New York State! An amazing sight! Did anyone else happen to see this? 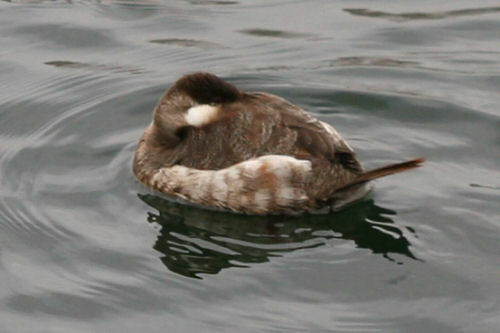 On Friday (12/10/10) I saw a seagull sized bird flying above the East River, heading south, with a long (three feet?) “ribbon” flowing out behind him. By the time I got to my binoculars, he was out of sight. Either this was a bird in trouble or a Tropic Bird. The former is far more likely, but any sightings would be appreciated. Thank you.